Earlier this week, Energy Secretary Chris Huhne outlined plans to improve the state of insulation in the UK’s housing stock, which is renowned for being one of the draughtiest in Europe. Under the provisions of the so-called ‘green deal’, from 2013 onwards property dwellers in the UK will be able to apply for a loan from their energy supplier to pay for the cost of insulating their homes. 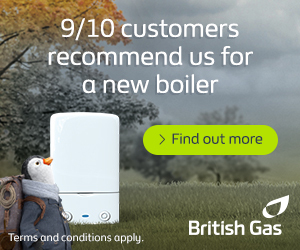 According to Mr Huhne, the revised Energy Bill would “make upgrading our nation’s draughty homes a no-brainer”. The Energy Secretary added that the state of domestic central heating and insulation in Britain was poor compared to other developed countries. Mr Huhne also attempted to allay fears that the green deal would encourage rogue traders to target vulnerable homeowners. Unfortunately, critics have argued that the green deal is overly complicated and likely to exclude a vast number of households in the UK. The Department of Energy and Climate Change (DECC), however, believes that the green deal offers a comprehensive solution for UK residents and the nation’s economy. The DECC has claimed that the existing 27,000 or so people working in the insulation trade could increase to around 100,000 by 2015. 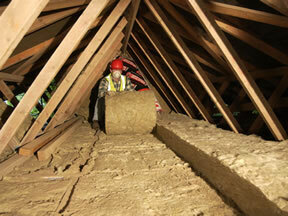 In the next 10 years, the DECC estimates that as many as 250,000 people will be employed in the insulation business.